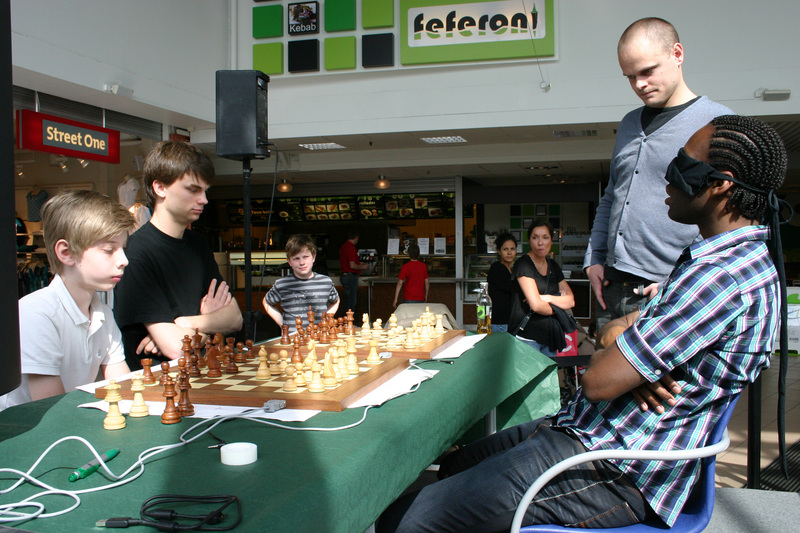 I gave a blindfold simul against totally four players from Linköpings chess club. well it means that I played two games parallel with my eyes covered against two opponents that were able to see the board! Wow how can you do that? Since I use visualization and project two chessboards inside my head. But How can you see what they move? For example Pawn e2 to e4 and since the chessboard is a cordinate system I can than easily register their moves in my mind. as well as try outs where they got a speed class in the rules. A big thank you to both IKANO-HUSET i Linköping and Linköpings chessclub for a good cooperation. This entry was posted in Exhibitions & Events on 2014/06/26 by admin.